The Chinese Shar-pei, famous for its wrinkles, has gone from the rarest dog breed listed by the Guinness Book of World Records to its current status of popularity. This breed is famous for its aloof temperament and its special medical issues, still, most Shar-pei owners would not trade their breed for any less controversial one. The following discussion is meant to assist people who are considering adoption of a Shar-pei. The Shar-pei is a unique animal with unique needs and may not be suited for the first time dog owner or for a family that requires a “low maintenance” dog. The Shar-pei is not a breed to adopt lightly; one must be prepared for an extra time commitment and even extra veterinary expenses. 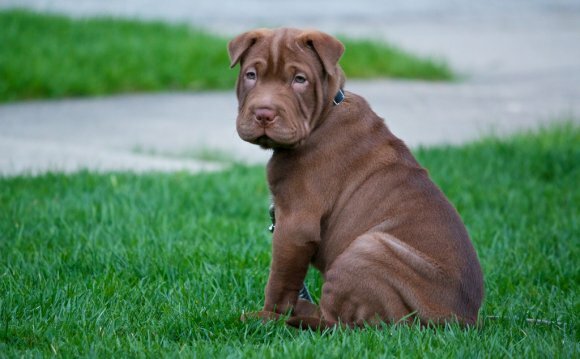 When one reviews the following problems, it is important to ask oneself, “Will I be prepared to deal with this problem should it arise?” Clearly, the average Shar-pei does not have an on-going list of problems but one should be aware of what can come up. Chinese Shar-pei Çin Shar-pei "Wallace"